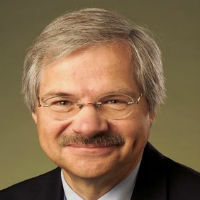 John J. Sninsky PhD is a translational medicine consultant. He has served in senior management positions at Cetus, Roche Molecular Systems, Celera, Quest Diagnostics and most recently CareDx. He has overseen teams of scientists who worked in cancer, cardiometabolic, autoimmune and liver diseases and solid organ transplant. Sninsky’s primary focus has been the application of genetic and genomic tools to identify and develop LDTs for CLIA setting and IVD products for diagnostic/prognostic and pharmacogenomic biomarkers. He is a member of Stanford University SPARK and UCSF CATALYST programmes that facilitate communication to accelerate translational medicine.